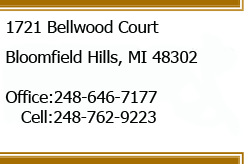 The attorneys at the Law Offices of Richard S. Victor, PLLC, a Bloomfield Hills based Divorce and Family Law firm, now Of Counsel to Hertz Schram, PC, believe that all parties to Divorce - divorcing couples, Lawyers, and Judges - must realize divorce is an emotionally draining experience, born from loss. Because of that fact, for over four decades, our Family Law attorneys, through Mr. Victor's guidance, have led parties through this difficult process and helped individuals to think and act logically even while they faced such emotionally driven issues. 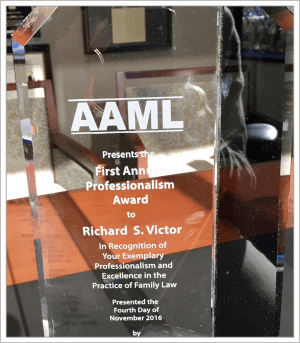 By creating the concept of a more honest, personalized and direct way to practice Divorce, Child Custody and Family Law, the Law Offices of Richard S. Victor, PLLC instilled a new philosophy, which they practice throughout the state of Michigan. They bring integrity to the practice of Family Law. They believe that lawyers who handle divorce, child custody and parenting time cases have a higher duty to their clients than in other areas of law. They know that the work they do will not only affect their clients and their business and financial interests, but will most probably affect their children and future generations of their family. Based in Oakland County, they represent clients throughout Metropolitan Detroit, including Macomb, Wayne, Genesee, and Ingham Counties. U.S. News and World Report has ranked them with a tier one rating, as one of the top Family Law firms in Bloomfield Hills and Metropolitan Detroit. Our website was prepared for informational purposes only. The materials contained in this site are not intended to, and do not constitute legal advice. Internet subscribers and online readers should never act upon any of this information without seeking professional counsel. Submitting information to our attorneys via e-mail does not create an attorney-client relationship and Richard S. Victor, PLLC may use the information provided to check for conflicts of interest to determine if the firm can assist you with your legal inquiry. Neither transmission nor receipt of any of these materials creates an attorney-client relationship between the sender and the receiver. The use of the Internet for communications with the firm will not establish an attorney-client relationship and messages containing confidential or time-sensitive information should not be sent. Each legal problem depends on its unique individual facts and different jurisdictions have different laws and regulations. Richard S. Victor, PLLC makes no representation that materials on this website are appropriate or available for use in all jurisdictions. This website (excluding linked sites) is controlled by Richard S. Victor, PLLC from its offices within the State of Michigan, County of Oakland. The laws of the State of Michigan, without regard to its conflicts of laws principles, apply to all matters relating to use of this website. By use of this website, you agree to submit to the exclusive personal jurisdiction and venue of the appropriate court in Michigan to resolve any dispute concerning your use of this website. This website contains links to other resources on the Internet. Richard S. Victor, PLLC does not necessarily endorse, and is not responsible for, any third-party content that may be accessed through this website. The links to other publicly available web sites are provided as a mere convenience to users and Richard S. Victor, PLLC makes no claims, promises or guarantees about the accuracy, completeness, or adequacy of the information in those sites.